Human activities long ago changed the interactions between predators and prey in the African savanna. Find out if we can now help restore balance through creative livestock management. How do lions impact the Kenyan savanna? Greater populations of this predator seem to be linked to declines in rare large herbivores, including many iconic antelope species that tourists in Kenya want to see. So landowners who depend on tourism are considering lethal methods to manage predators, further jeopardizing these big cats. But what if both predators and their fragile prey could thrive? Lions most commonly eat zebras, which have a robust population in the area. And zebras seem to prefer areas where cattle have grazed. By carefully managing the relationships between these species, researchers think it’s possible to influence where the lions seek their meals. Contribute to this innovative look at how cattle ranching could transform African landscapes. Using radio collars on some of the lions and cheetahs, you’ll track their movements and document their use of the landscape and identify any predation events by species and location. You’ll also check camera trap images for leopards, wild dogs, spotted hyenas, and other predators. And you’ll survey zebras and other herbivores like hartebeest, topi, and eland to learn how their populations shift with cattle ranching. Take this rare opportunity to witness how interconnected all species really are. Unlike many conservation efforts, this project is seeking a solution that embraces, rather than excludes, livestock production. Herbivores like cattle, zebras, and species with more fragile populations help maintain a mix of trees and grasses on the savanna. Large herbivores maintain savanna ecosystems by allowing both trees and grasses to thrive. Previous observations suggest that zebras frequently select areas where cattle have grazed. But can cattle actually attract zebras? The data you collect on herbivore abundance can help answer this question. Researchers also already know that zebras are the most common lion meal. So the next question is: do lions and other predators that eat zebras hunt where these striped ungulates are most abundant, or where prey of all kinds is easiest to catch? If it’s the former, as these researchers suspect, lions should follow the zebras to those greener cattle pastures. If the first two hypotheses turn out to be true—that zebras will follow cows and predators will follow zebras—one big question still remains. Will moving cattle strategically to attract zebras actually help the rarer herbivores survive? This could be possible: the declining species tend to congregate in smaller, more sedentary herds than zebras, which makes them easier to catch than zebras if they’re in all in the same area. You can provide the observational power to discover how this experiment will actually unfold. Help be part of a strategy that could strengthen predators, prey, and the people of Kenya who depend on tourism and livestock. The Maasai Mara landscape (along with the contiguous Serengeti National Park in Tanzania) is an ecosystem of global importance with an intact guild of large predators and healthy densities of prey. We will be conducting our research at the Olare Motorogi Conservancy (OMC), located in Maasai Mara, Narok County. The conservancy borders Masai Mara National Reserve to the South, Naboisho and Pardamat conservancies to the East, Mara North conservancy to the West and Aitong center to the North. OMC covers 15, 200 Ha of private land that has been consolidated to form the conservancy. The conservancy has a collection of 277 Maasai landowners and is a blue-print for the sustainability of the greater Maasai Mara eco-system. OMC is home to many species found in the Mara Ecosystem and you can expect to see an abundance of wildlife at the conservancy. 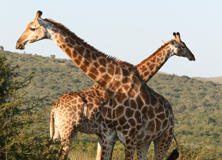 In addition to lions, zebras, and hyenas, the conservancy is home to giraffes, gazelles, waterbucks, cheetahs, vervet monkeys, and a wealth of bird species. Further, the conservancy is composed of a mosaic of habitats including, open grassland plains, woodland, riverine habitats, and schrubland. There are seasonal rivers, permanent springs, and Kopjes as well. Observe zebras, cattle, and other herbivores. While the conservancy, you will record the location and abundance of zebra and other herbivores —data that will be later compared to the movement and sightings of lions and other large carnivores. 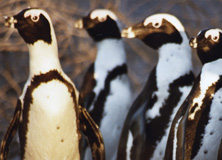 You will also note the presence or absence of calves and other young animals, because predators tend to single them out. Track lions, cheetahs, and other large predators. This data will be compared to the herbivore observation data to see which prey species these cats are following. Camera-trap hyenas and leopards. You'll help check camera traps around the conservancy and, later, sort through the images taken to identify individual animals by their unique patterns of stripes or spots. Monitor predators, livestock and people. Record all sightings of predators, livestock, vehicles, and people using the smartphone application, CyberTracker. Data collected will be used to assess population demographics, distribution, and trends of these respective variables. During most research days, you'll walk about two-and-a-half miles around the conservancy. On some afternoons, the team will spend some time in the research center, entering data from your wildlife-tracking work and sorting images. On many evenings you’ll have free hours to learn more about the research, socialize, read, or simply relax and enjoy the sounds of the wild at night. Giraffes, part of the native wildlife of the conservation area. Dr. Caroline Chebet Ng’weno, was the Head of Research and Monitoring at Ol Pejeta Conservancy, having joined the organization in 2008 as Carnivore Program Officer. In 2018, Caroline joined theKenya Wildlife trust as Program Director of the Mara Predator Conservation Programme (MPCP), where she managed the merge of the flagship Mara Lion and Mara Cheetah Projects into one consolidated program. In 2019, Caroline will transition to become faculty at the Kenyan University, where she will mentor emerging wildlife biologists. Caroline will also continue her research on predator prey dynamics at Olare Motorogi Conservancy with support from Earthwatch volunteers. Caroline brings both robust scientific credentials and a holistic view of how science can, and must be applied for practical conservation success, in both protected areas and human-occupied landscapes. 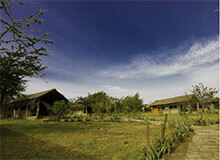 Volunteers will stay at the tented Nyumbu Camp adjoining the Maasai Mara National Reserve. The Nyumbu tents are equipped with an integrated solar heating system, and each has its own bathroom, hot water and solar powered electricity. Where possible, we advise bringing equipment that runs on batteries. All tents are fitted with comfortable beds with bedding provided. Tents are shared and are a mix of private and common bathrooms. Skilled cooks will prepare your meals, which will usually be buffet style with the exception of the packed lunches you’ll take into the field. Expect to enjoy a variety of hearty meat, fish, chicken, and vegetarian options. This was the best Earthwatch project that I have done out of seven. The animals were so plentiful and amazing. Loved the experience of being so close. It was great hearing the lions roar at night very close to camp. I would do this one again for sure. Earth Watch gave me the opportunity to fulfill one of my lifelong dreams of going to Kenya and spending time on the savanna close to the animals in an authentic and impactful way. The people I met and worked alongside have touched my life and I'll never forget the fun we had and the experiences we shared. Lions, giraffes, gazelles, jackals, fieldwork, great staff, night game drives, doing transect work, good food, nice room, chimpanzee sanctuary, cape buffalo, special treat of a milkshake at conservancy facility, cape buffalos, monkeys, sunrises, lots of stars in a clear sky, hippos, elephants, oryx, zebras, hyaenas, play date with children from local orphanage, feeding chimps, surprise - frog in my room at 1 AM, visit to beadwork ladies, visit to ladies who make yarn from sheep wool and then weave it into rugs, identifying dung, making sense of footprints, checking camera trap photos, entering data, finding radio collared lions, bird walks. In short, we were busy, we learned, had lots of great experiences, and contributed to the scientific research, the conservancy, the community, the team, and our own learning experiences. The Kenyan field crew could not have been more helpful, enthusiastic, knowledgeable or engaging. We experienced a variety of exercises and that involved serious moments learning to identify the principle species of grasses found in the area, and how to measure their composition, as well as how to identify other components of a lion’s environment. Our brains swam in information! We learned how to identify individuals and helped conduct the annual census of two endangered species in the park, Grevy’s Zebras and Jackson’s Hartebeests. 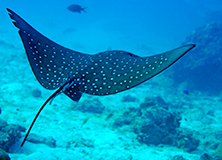 Time was also spent identifying species captured on camera footage and installing additional cameras to get a good idea of “who goes where, and when.” We were an active part of data collection and a real part of the project. I made friends that I still communicate with regularly, I have memories and photos that will last me a lifetime, I was able to participate in a project that helps with conservation and allowed me to be more than just a casual observer. It was great to be able to spend 14 days in the park, and get to know it… its wildlife, its personality, and its amazing people/caretakers. Without exaggeration, it was a trip of a lifetime! I would highly recommend this to anyone interested in an adventure! This environment is safe, the work is not physically taxing and the location and its inhabitants are wild beyond belief. Plan to learn a lot, and contribute in a fun and exciting way! You will LOVE it. I KNOW I did! This was my first expo with Earthwatch and as a single female was not sure what to expect, I had the most amazing learning experience and felt so humble to have played a part in this project. The work is sometimes challenging but well explained and planned out. The team in Ol Pejeta are some of the nicest people I have ever met. Tracking lions is such a thrill and a challenge but proves to work with good team work. The team spirit makes for a fun and both worthwhile working day. The accommodation was comfortable and the food was incredible even catering for vegetarians with fresh ingredients and served with love. This expedtiion will forever be a highlight of my life. I grew up in West Africa, and I have traveled fairly extensively in Africa since then. Ol Pejeta is where I have felt closest to the magical, friendly, open Africa of my childhood. The Conservancy is on a beautiful high plateau, and it teems with all types of game -- the wildlife viewing is excellent, including, of course, lions (because you track them down!). Your group will mostly be in blessed solitude, away from the jabbering, camera-waving tourist hordes, and doing meaningful, interesting scientific work in the high savannahs of East Africa. The research center is delightfully relaxed and quiet, the accommodations are comfortable, and the food is delicious. You can sit out on the porch on a warm windy night, chatting with scientists about their projects and admiring the Milky Way arching overhead. The next morning you can watch the parrots gossiping in the trees as you stroll towards your breakfast. The Earthwatch staff are phenomenal. We were treated with amazing grace, openness, consideration and professionalism. I wish I could mention everyone, from Nelly and Ella, our managers, to Luke, our driver, to Isaac, our amazing master ranger. I learned a huge amount, and I have not laughed so heartily in many a year as I have with the many friends I made here. On the last day I could hardly bear to leave them. Now, I keep thinking about when I can return. My advice is ... go on this expedition! Having done a few more Earthwatch projects I knew what to expect. More or less. I expected close relations with the on-site researchers and close encounters with the local wild life. And it didn't disappoint. Everyday delivers another highlight. Be it bouncing and crashing through the acacia woodland getting a massive scare by that growling lion mom hiding a few cubs, or having a fun party with the research crew and support staff. Sometimes you take it for granted that feel comfortable with good food, warm water and a nice bed. But of course it takes good people and good management to make it possible. Realizing this definately adds to being happy in a lazy chair suddenly being visited by a brave bushbuck at the campsite. Goosebumps moment. Again. And about managing lions to pick zebras for their favorite food so wildebeest will prosper . . . , well, it all depends on prey abundancy. Or was it favorable terrain? All I can say is Ol Pejeta lions do well as it is. Were I lion I would just make sure I do get my daily 20 hours sleep! After all experiences the project definately got me following further developments. What a joy to combine smart and deliberate conservation with unparalleled wildlife viewing in this expedition to the Ol Pejeta Conservancy. Everyday we had close encounters with the African animals of our childhood dreams. Our work was supporting innovative and solution oriented strategies that honored the human communities of Kenya as well as the biodiversity. Science for solutions...now it doesn't get much better than that. Coral reefs are under serious threat. 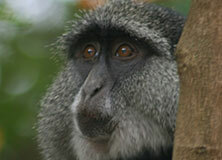 How can we help protect them and still benefit from their rich resources?